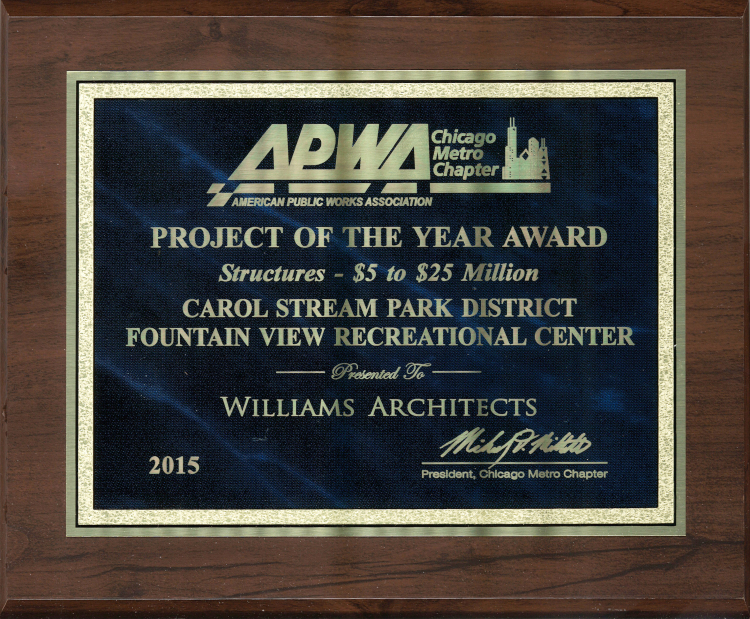 The Fountain View Recreation Center has been honored by the Chicago Metro Chapter of the American Public Works Association. The 90,000 SF Recreation Center received the “Project of the Year Award” for structures ranging in size from $5 Million to $25 Million. The Silver LEED Certified recreation center provides numerous recreational opportunities for the residents of Carol Stream.